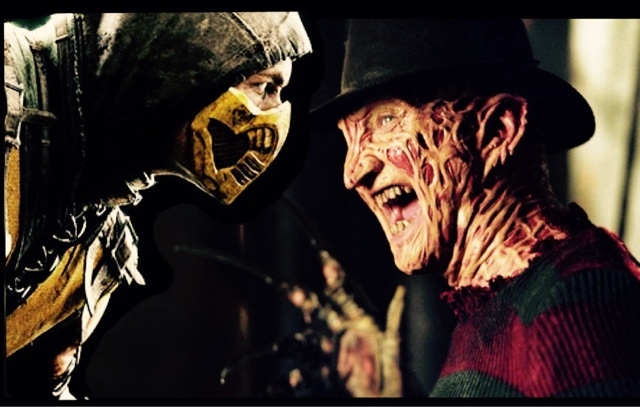 Freddy Krueger is the latest horror icon to be featured in Mortal Kombat X, with other horror icons featuring Predator, Jason Vorhess already included, in the super violent Video game, that is famous for its signature moves and super violent fatalities. I loved this game when it first came out in 1992, and followed its progression since the early Megadrive game, on 16 bit, to the recent brilliant X on PlayStation 4 and X Box One, so with the latest update you can play as our favourite anti hero Mr Freddy Krueger, alongside SubZero, Kane and many others. I haven't got this game yet but I'm actually thinking of purchasing it now, with my favourite horror icon involved.